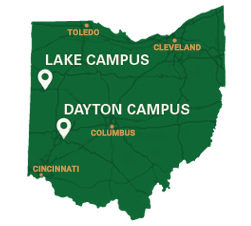 WWSU 106.9 FM, a non-profit student organization, is broadcast from Wright State University's Student Union. Since 1977, we have delivered a mix of music, sports, and talk shows. Students from varying fields of study volunteer to be a part of WWSU and serve the local community. The radio shows aired on our station are almost exclusively broadcast live and hosted by students. If you are a current or future Wright State student and wish to have your own radio show on WWSU, check out become a DJ. We play a variety of music from popular and independent artists. Our genres include classic and modern rock, hip-hop and R&B, pop, country, and more. WWSU 106.9 FM is the home of live coverage of Wright State Raider basketball, softball, volleyball, and soccer. Tune in during home games and tournaments to get live play-by-plays, statistics, and more. In addition to music, we also air a variety of different talk shows. From news and politics, to campus events, to activism—there's something for everyone. Here in the music department, we get a lot of submissions. Check out some of our favorite songs and albums in case you missed them on the air! Here in the music department, we get a lot of submissions. Check out some of our favorite songs in case you missed them on the air!